You will love this Craftsman style Gingerwood II Plan w/brick & stone front in Creekside Estates, offering 1600 sq ft of living space, 3 car over-sized garage, open floor plan w/vaulted ceilings, wood flooring, gas fireplace in corner setting w/stone face and wood mantle, and much more! The kitchen features premium cabinetry with crown molding & hardware & premium granite counter tops, a walk-in pantry, dining area and door leading out to the back yard. The master suite features a walk-in closet, tray ceiling, and bath w/dual sinks, & custom marble shower w/frameless door! You will find two more bedrooms, a guest bath, & laundry room on the main level. The lower level offers a bath rough-in, egress window and a great space to finish to your liking! 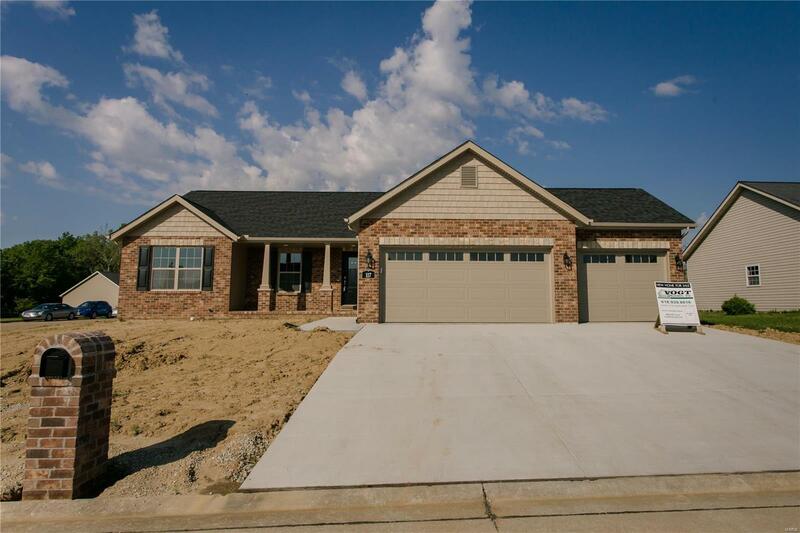 Enjoy the outdoor space w/a covered back patio w/stamped concrete floor or on the covered front porch! ECD May 15.